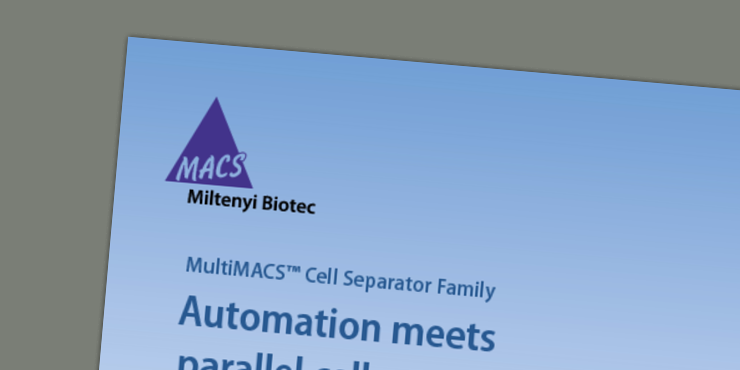 The MultiMACS Cell24 Separator Plus is the new cell separation workhorse. Whether you are dealing with high sample numbers, large sample volumes or individual samples every now and then, the convenient design of the MultiMACS Cell24 Separator Plus offers the flexibility to “grow” with your needs. 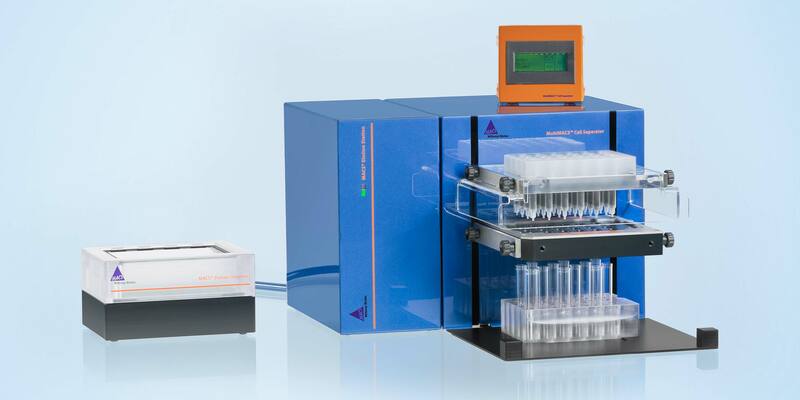 The MultiMACS Cell24 Separator Plus is a semi-automated benchtop instrument which performs the cell elution step automatically. Pipetting steps are carried out by the user. However, the MultiMACS Cell24 Separator Plus technology is also at the heart of the fully automated MultiMACS X Separator. Utilizing a liquid handler, the MultiMACS X is a high-throughput cell separator with additional features such as autolabeling, sample tracking, and sample aliquoting. The Multi-24 Column Block enables high-throughput and high-volume applications by combining 24 columns in one. It saves time and makes handling of large sample numbers or volumes more convenient. 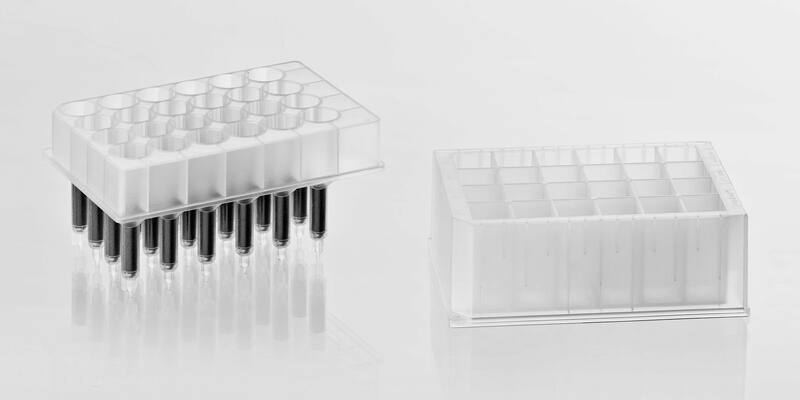 Parallel isolation of up to 12 samples is made possible by the Single-Column Adapter, which saves column costs when you want to process only a small number of samples in one run. 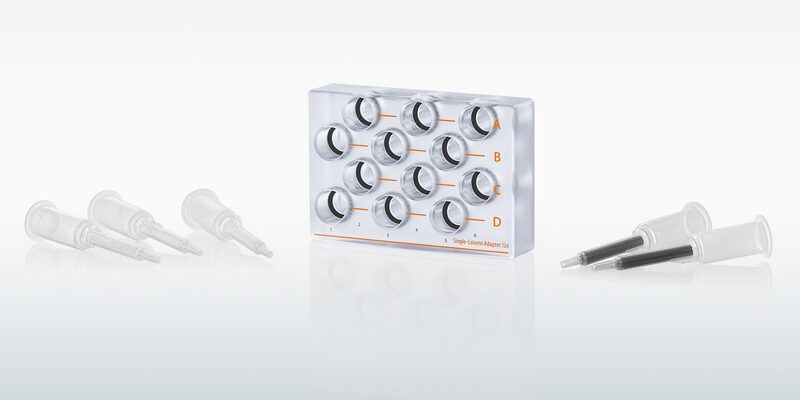 Designed for use with single MACS Columns, it allows you to handle up to 12 samples in one go. The desired number of compatible Whole Blood, LS or LD Columns is inserted into the holder, while remaining slots are filled with blank columns. This makes the MultiMACS Cell24 Separator an economic choice also for small sample numbers. If you want to perform a positive separation, transfer the column block or the Single-Column Adapter to the Elution Chamber after you collect non-labeled cells, follow instructions on the touchscreen and elute your labeled cell fraction. It's that easy! You can collect your cells into Deep Well Plates or alternatively into 5 mL tubes.